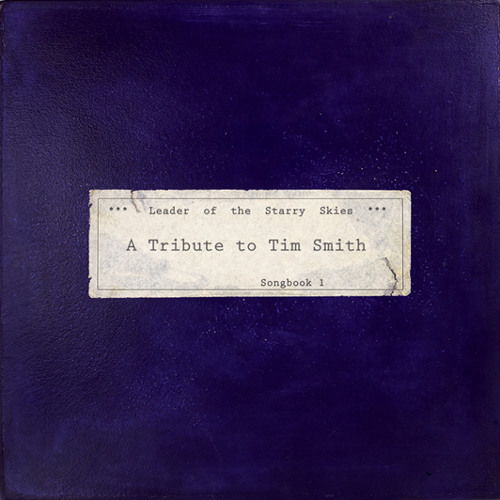 Leader Of The Starry Skies is a tribute to Tim Smith, lead singer of Cardiacs, who has been tragically stuck in hospital for two years after suffering a heart attack. The 17 tracks on the album aren’t so much covers as they are tributes to one man's beautiful music; music that inspired a generation of underground musicians to pick up an instrument to create something that they wanted to hear rather than settle for what was being played to them on the radio. Tim Smith's cryptic and experimental songwriting style makes it impossible not to hear how much influence Cardiacs have had on the current wave of British alternative artists. Each track has very much been a labour of love for the artists involved, impeccably recreating the signature sound that made Cardiacs stand head and shoulders above their contemporaries. Leader of the Starry Skies creates an atmosphere that's almost carnival like in nature, plunging the listener into a world of psychadelia, soaked in progressive punk. With luck, this album will introduce the work of Tim Smith and Cardiacs to a new generation of potential artists, showing them that you don't always have to colour inside the lines to be creative. Organised by ex-Cardiacs Bic Hayes and Mark Cawthra, Cardiacs' guitarist Kavus Torabi and Spratley's Japs singer Jo Spratley, Leader Of The Starry Skies features contributions from Oceansize, Steven Wilson (of Porcupine Tree) Andy Partridge (of XTC), Max Tundra, Knifeworld, North Sea Radio Orchestra and many more. All profits from the sale of this album will go directly to Tim Smith. THis is great. Lovely job Mr. Torabi.